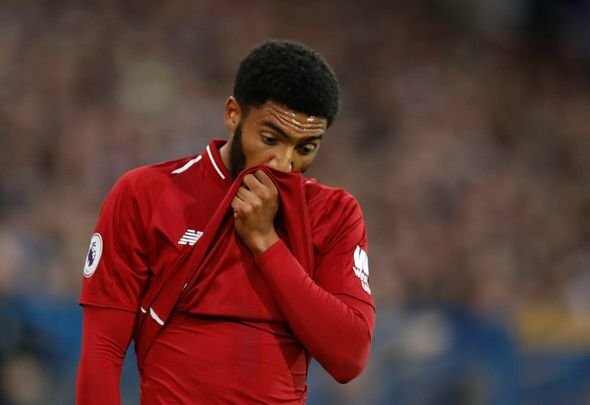 The sight of Joe Gomez being stretchered off really put a dampener on Liverpool’s come-from-behind win over Burnley on Wednesday, and the club’s worst fears have now been confirmed with the defender set to miss at least six weeks with a leg fracture. As reported on their official website, scans undergone on Thursday revealed a fracture in his lower left leg which will put him out of action for around nine games for the Reds, and it is no surprise to see these fans below express such sadness at the blow. Gomez has been one of the most impressive performers for Liverpool this season, with the youngster even outshining regular defensive partner Virgil van Dijk on several occasions. All fans can hope for now is that Gomez makes a quick and full recovery, and is back ahead of schedule for their games in the New Year. Their comments below illustrate exactly how highly-rated he has become among the Liverpool faithful, and hopefully he gets back to full fitness as soon as possible. Damn. Get well @J_Gomez97 !!!! Cheers Ben Mee, son's cryin. Nice one. That's not good. We are going to miss him. So sad hearing this, been playing out of his mind! Heal up fast joe, we need yah!?????????? That’s so bad for him and our team because we need all our soldiers to fight the war against Man City. Hoping he will recover soon. ???????????????? Devastating to him and us. Get well soon and we can't wait for him to come back stronger. Lovren Matip Clyne have their chance to step up and now show their talent, worth, and place in our squad.